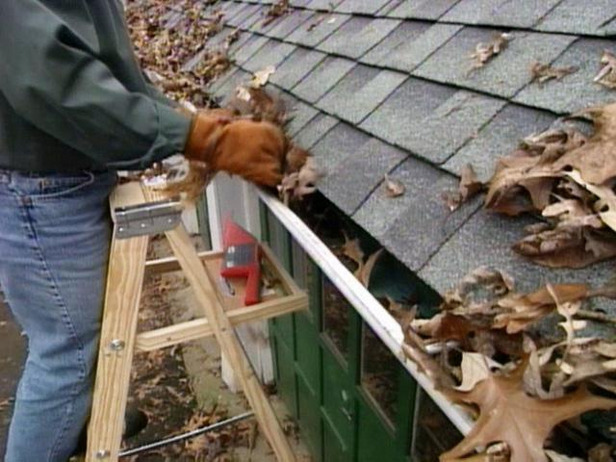 Gutters – Keeping gutters and downspouts clear of debris prevents them from backing up and damaging roofing especially when cold temperatures cause freezing. Water running behind the gutters can cause problems with rotting, pest infestations, foundation damage and wet basements, so repair or replace gutter hangers and brackets if needed. Check where the water drains to make sure it isn’t collecting in a place that will be damaged or dangerous when frozen. Chimneys – Make sure the flue is operating properly and the chimney gets cleaned properly if you plan to fire up that fireplace this winter. Also, inspect outside to determine if any tuckpointing or flashing needs attention. If you use a chimney cap to protect the top of your chimney, make sure that it is still attached securely. Doors and Windows – Lower your heating bills by repairing air leaks around windows and doors. Don’t forget to replace the screens the storm windows and doors. The cooler days of autumn are an ideal time to replace peeling paint and caulk as well. Plumbing – Drain the spigots and close the valves to outside faucets to prevent freezing and bursting pipes. Insulate the cavities and don’t forget to drain the hose of water. Attic -Look in the attic after a good rain. This is one way to catch any leaks especially around chimneys and vents. Also check for adequate insulation and seal any air leaks. Heating – Replace the furnace filter. Do a test run before it gets extremely cold, to ensure that everything is working properly. In the long run, it may pay to have your heating and cooling company clean and inspect your system. Yard – This is a good time of year to fertilize and reseed lawns. Pay attention and trim any limbs that are close to the roof or power lines. Heavy snow and ice can cause them to fall and do great damage during winter storms. Bring in or protect your outdoor furniture, umbrellas, grills, etc. Make sure all of your outdoor lights and motion detectors are working properly and change their schedules if needed as the days get shorter.